The table below provides a description of the technical condition of the market on the most popular financial instruments, as well as information on the large speculators’ actions according to the last COT reports and the previous period. If you want to use CFTC reports in your trading practice, you should understand that for an objective assessment of the situation it’s not enough to know the data of the last report. The dynamic is more important, in other words, comparing the statistics of large speculators’ actions in the current period with the previous one, so we publish both values in the table. Note that the arrow direction gives us information about the large speculators’ actions (buying or selling) relative to the asset specified in the first column. For example, for CHF, the up arrow () indicates that COT net position indicator is rising, namely CHF is being bought, but not USDCHF. S&P500 (ESZ17) The trend is bullish, the market is around the last broken level and it is in the correction. A pullback buying opportunity on the Daily timeframe will appear after the correction completion. ***Dollar Index (DXZ17) The Daily trend is bullish, at the same time the market is around the support level on the Daily timeframe. A pullback buying opportunity from this level will most likely appear within next week or it will be broken, the trend will change and a breakout selling opportunity will be formed. Anyway this asset may be interesting for medium-term trading. ***EUR (E6Z17) At the time of writing, the market is above the resistance level on the Daily timeframe, the highs of November 2-3. If the bullish candle is closed above these marks, the medium-term trend will turn into the bullish one, a breakout signal will be formed. In this case the next target will be around the price mark of 1.185. ***CHF (S6Z17) The trend is bullish (for USDCHF), at the same time the market is around the support level on the Daily timeframe, the lows of November 9-10. A pullback buying opportunity from this level will most likely appear within next week or it will be broken, the trend will change and a USDCHF breakout selling opportunity will be formed. Anyway this asset may be interesting for medium-term trading. *GBP (B6Z17) The market is in the triangle on the Daily timeframe. Before the fact of the nearest support or resistance levels breakout new medium-term positions look unattractive. Previously opened bearish positions will remain relevant until the market is below the resistance level on the Daily timeframe, the highs of November 9-13. **JPY (J6Z17) The Daily trend is bullish (for USDJPY). USDJPY long positions will remain relevant until the market is above the nearest support level on the Daily timeframe, the lows of November 8-10. **WTI (CLZ17) The Daily trend is bullish, the correction develos. Long positions will remain relevant until the market is above the nearest support level on the Daily timeframe, the lows of October 19-20. **CAD (D6Z17) The trend is bullish (for USDCAD), the impulse wave develops. USDCAD long positions will remain relevant until the market is above the nearest support level on the Daily timeframe, the lows of November 9 - 13. *XAU (GCZ17) The gold market is in the large triangle on the Daily timeframe. Before the fact of the nearest support or resistance levels breakout new medium-term positions look unattractive. Previously opened bearish positions will remain relevant until the market is below the resistance level on the Daily timeframe, the highs of November 6-8. *XAG (SIZ17) The silver market is in the large triangle on the Daily timeframe. Before the fact of the nearest support or resistance levels breakout new medium-term positions look unattractive. Previously opened bearish positions will remain relevant until the market is below the resistance level on the Daily timeframe, the highs of November 6-8. **AUD (A6Z17) The market remains in downtrend, the impulse wave develops on the Daily timeframe. Short positions will remain relevant until the market is below the resistance level, the highs of November 8-10. A pullback entry point will appear after the correction formation on the Daily timeframe. **NZD (N6Z17) The Daily trend is bearish, the impulse wave develops. Short positions will remain relevant until the market is below the resistance level, the highs of November 8-10. (R6Z17) USDRUB currency pair remains in the medium-term uptrend, another impulse wave develops. A pullback entry point will appear after the correction formation on the Daily timeframe. Trade list in a graphical format is available here. The trend is bullish, the market is around the last broken level and it is in the correction. A pullback buying opportunity on the Daily timeframe will appear after the correction completion. COT net position indicator decreased. Major players’ opinion doesn’t correspond to the market technical picture and it makes sense to reduce the position size when an entry point appears in the trend direction. E-Mini S&P500 (ESZ17). Technical analysis and COT net position indicator. The Daily trend is bullish, at the same time the market is around the support level on the Daily timeframe. A pullback buying opportunity from this level will most likely appear within next week or it will be broken, the trend will change and a breakout selling opportunity will be formed. Anyway this asset may be interesting for medium-term trading. Long positions will remain relevant until the market is above the nearest support level on the Daily timeframe, the lows of October 31 – November 3. COT net position indicator didn’t reverse and large speculators continue to sell. At the time of writing, the market is above the resistance level on the Daily timeframe, the highs of November 2-3. If the bullish candle is closed above these marks, the medium-term trend will turn into the bullish one, a breakout signal will be formed. In this case the next target will be around the price mark of 1.185. COT net position indicator reversed and large speculators are buying. The trend is bullish (for USDCHF), at the same time the market is around the support level on the Daily timeframe, the lows of November 9-10. A pullback buying opportunity from this level will most likely appear within next week or it will be broken, the trend will change and a USDCHF breakout selling opportunity will be formed. Anyway this asset may be interesting for medium-term trading. CFTC reports indicate that large speculators go on selling franc and the professionals’ opinion corresponds to the market technical picture. The market is in the triangle on the Daily timeframe. Before the fact of the nearest support or resistance levels breakout new medium-term positions look unattractive. Previously opened bearish positions will remain relevant until the market is below the resistance level on the Daily timeframe, the highs of November 9-13. At the same time large speculators go on selling Pound and the probability of breaking through the triangle down is high. The Daily trend is bullish (for USDJPY). USDJPY long positions will remain relevant until the market is above the nearest support level on the Daily timeframe, the lows of November 8-10. Large speculators continue to maintain the trend and sell Yen and the professionals’ opinion corresponds to the market technical picture. JPYUSD. 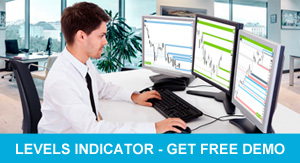 Technical analysis and COT net position indicator.. The Daily trend is bullish, the correction develops. Long positions will remain relevant until the market is above the nearest support level on the Daily timeframe, the lows of October 19-20. COT net position indicator continues to increase, large speculators are buying and the professionals’ opinion corresponds to the Daily trend direction. WTI Crude Oil (CLZ17). Technical analysis and COT net position indicator. The trend is bullish (for USDCAD), the impulse wave develops. USDCAD long positions will remain relevant until the market is above the nearest support level on the Daily timeframe, the lows of November 9 – 13. Large speculators are selling Canadian Dollar and the professionals’ opinion corresponds to the current market technical picture. The gold market is in the large triangle on the Daily timeframe. Before the fact of the nearest support or resistance levels breakout new medium-term positions look unattractive. Previously opened bearish positions will remain relevant until the market is below the resistance level on the Daily timeframe, the highs of November 8-10. At the same time COT net position indicator reversed, large speculators are buying and the probability of breaking through the triangle up is high. Gold. Technical analysis and COT net position indicator. The silver market is in the large triangle on the Daily timeframe. Before the fact of the nearest support or resistance levels breakout new medium-term positions look unattractive. Previously opened bearish positions will remain relevant until the market is below the resistance level on the Daily timeframe, the highs of November 6-8. At the same time COT net position indicator reversed, large speculators are buying and the probability of breaking through the triangle up is high. Silver. Technical analysis and COT net position indicator. The market remains in downtrend, the impulse wave develops on the Daily timeframe. Short positions will remain relevant until the market is below the resistance level, the highs of November 8-10. A pullback entry point will appear after the correction formation on the Daily timeframe. Large speculators go on selling and the professionals’ opinion corresponds to the market technical picture. The Daily trend is bearish, the impulse wave develops. Short positions will remain relevant until the market is below the resistance level, the highs of November 8-10. Large speculators continue to maintain the trend and major players’ opinion corresponds to the market technical picture. USDRUB currency pair remains in the medium-term uptrend, another impulse wave develops. A pullback entry point will appear after the correction formation on the Daily timeframe. Large speculators continue to buy Rouble and the professionals’ opinion doesn’t correspond to the market technical picture. In terms of medium-term trading, financial instruments with the correction close to completion on the Daily timeframe and with potentially the most promising risk-reward ratio are EURCAD, NZDCHF, GBPNZD. In the near future USDCHF, EURUSD, Dollar Index can become noteworthy depending on the market correction depth.